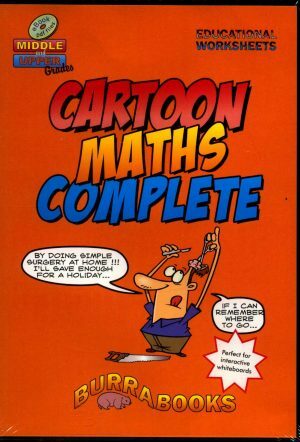 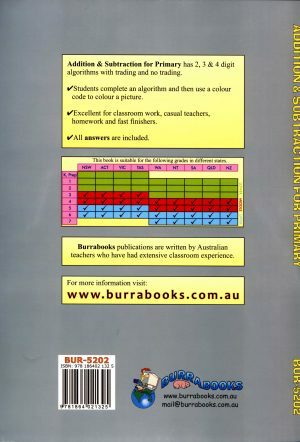 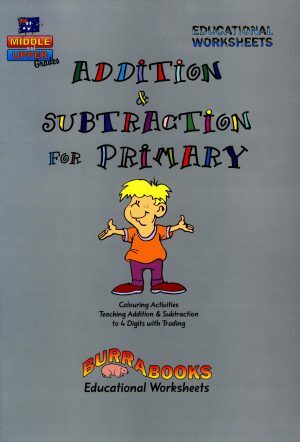 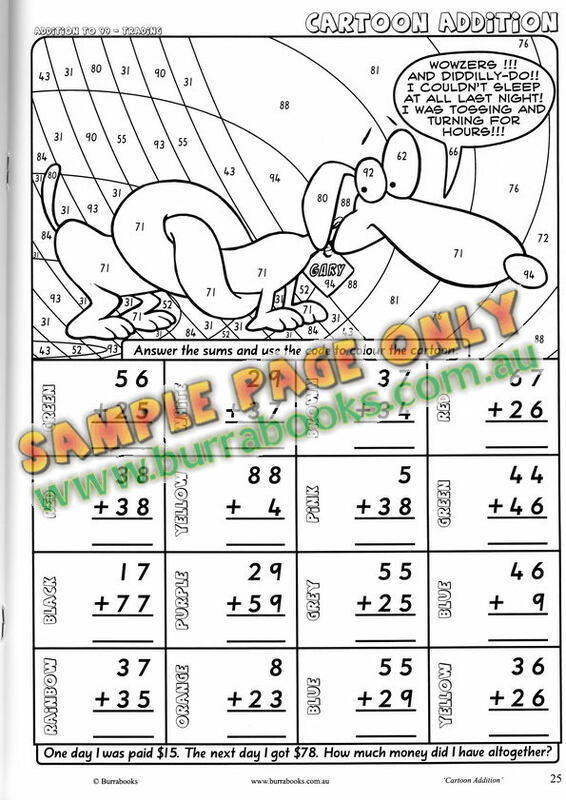 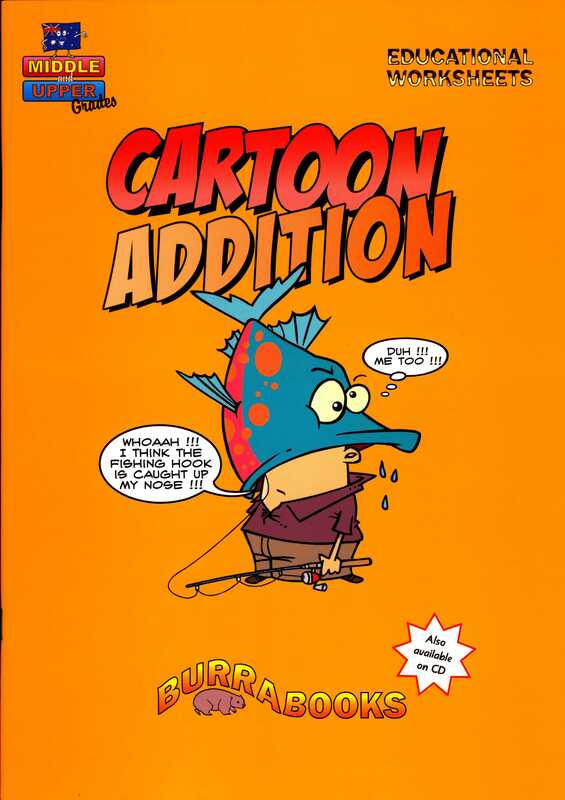 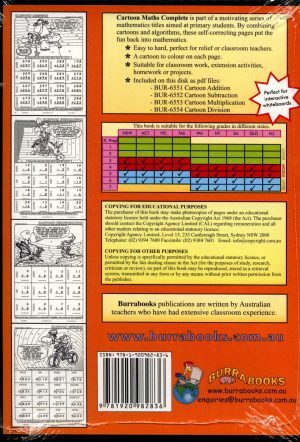 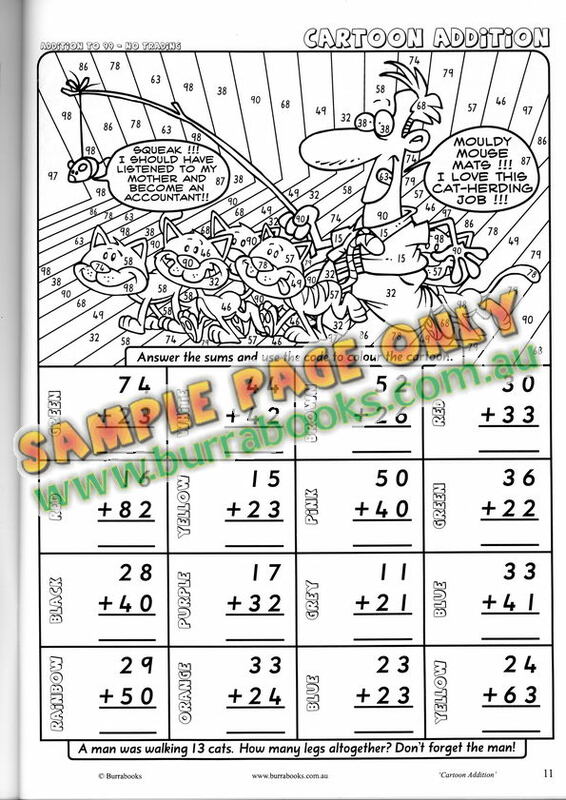 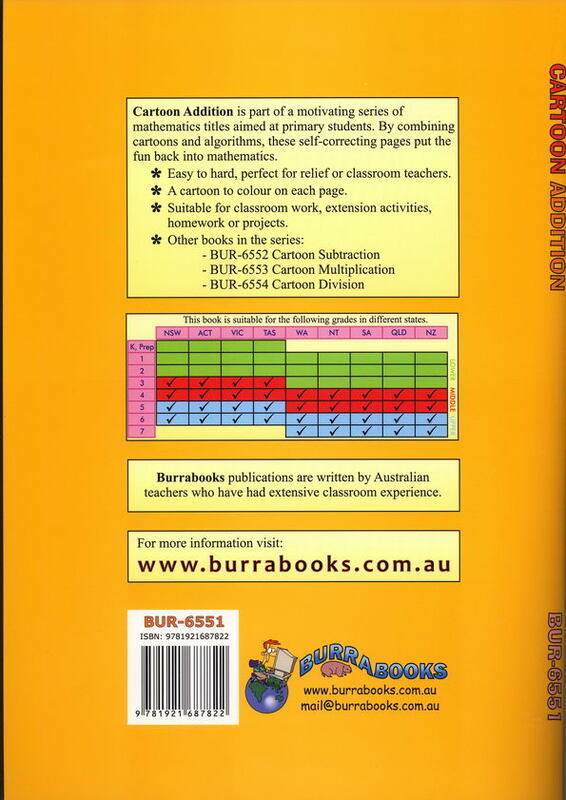 Cartoon Addition is part of a motivationg series of Mathematics titles aimed at middle and upper primary students. 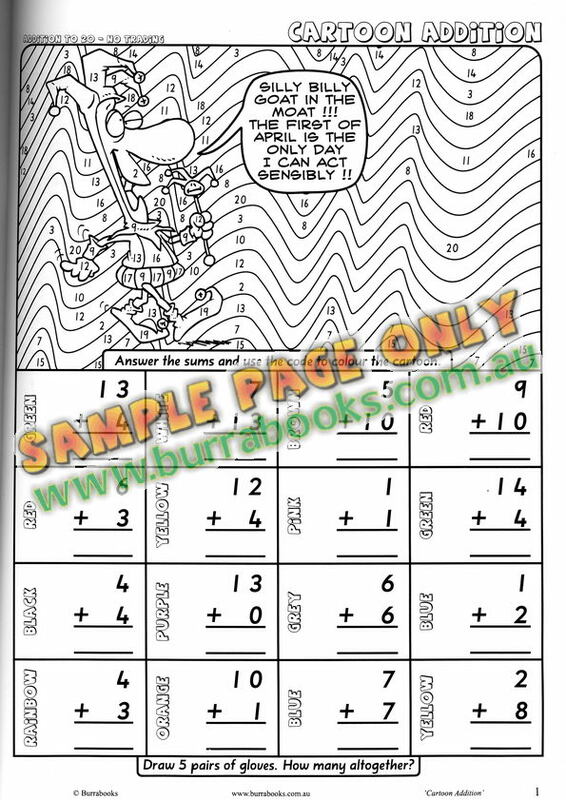 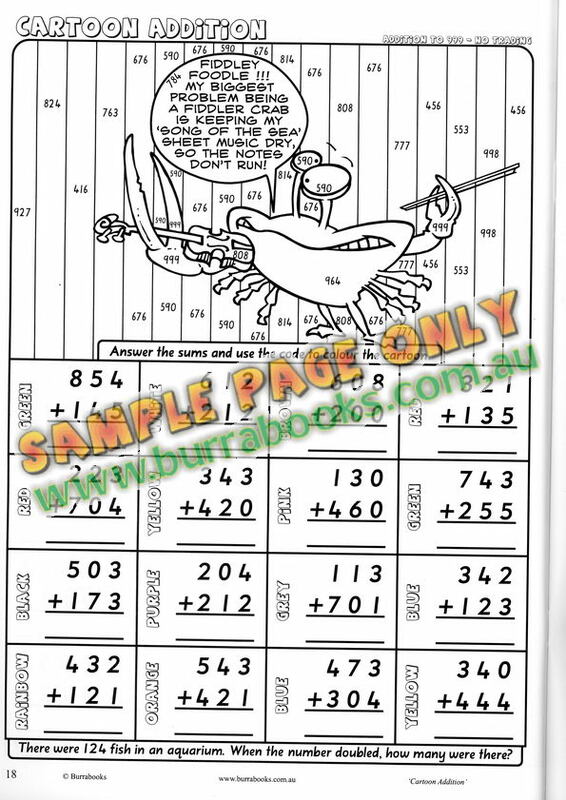 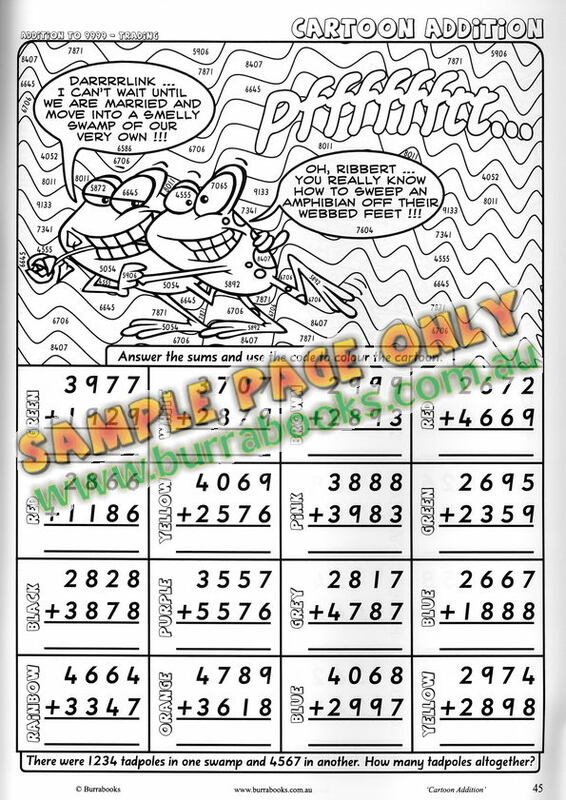 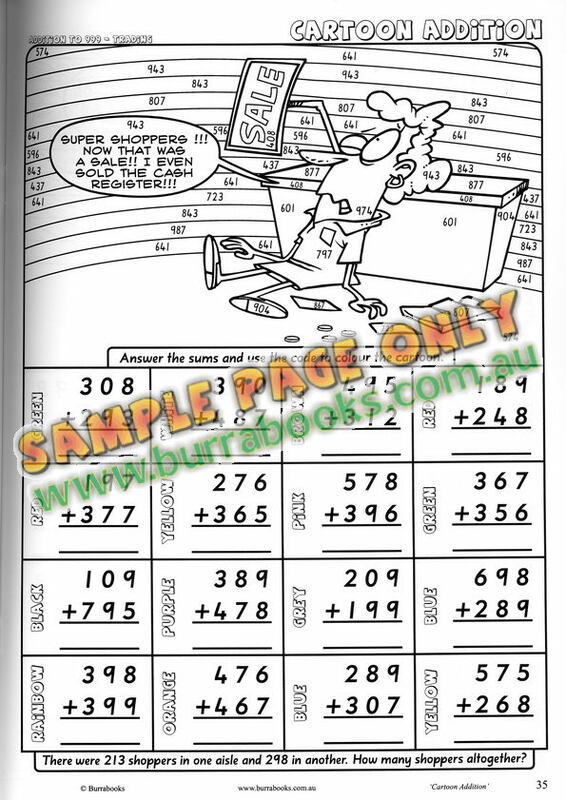 By combining cartoons and algorithms these self correcting pages put the fun back into Mathematics ! 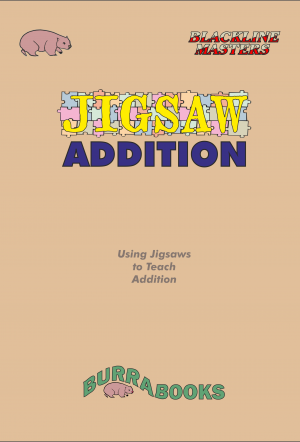 Sums start at addition to 20 and increase in difficulty up to addition to 9999 with trading.